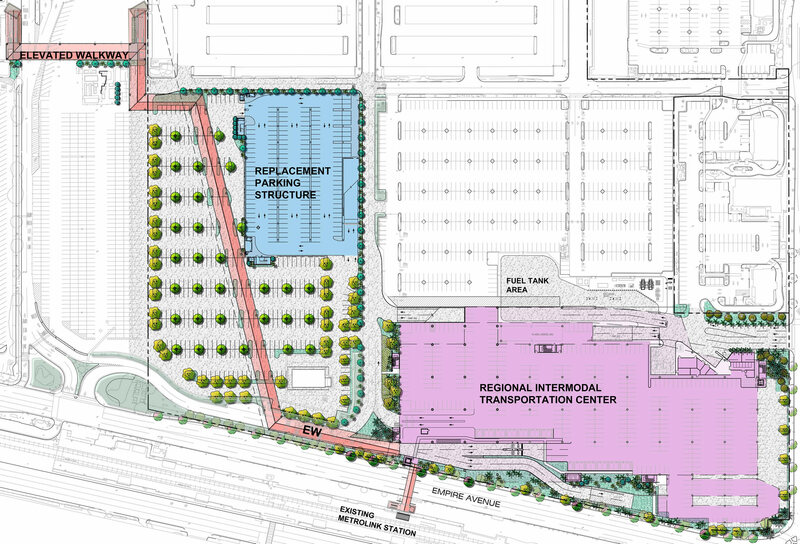 The Regional Intermodal Transportation Center (RITC) project consists of eight primary components that include a combined Consolidated Rental Car Facility and Transit Center (for local and regional buses), a Compressed Natural Gas Fueling Facility, and Pedestrian Bridges/Walkways connecting the RITC and Commercial Parking Structure to the Airport and the Metrolink Commuter Rail Train Station. AVA is the Prime Consultant for this 30 acre fast tracked project and is working closely with the Burbank-Glendale-Pasadena Airport Authority and the City of Burbank. © 2018 Anil Verma Associates, Inc. All rights reserved.